Counsilman-Hunsaker and SmithGroup/F&S designed Rice University’s new recreation facilities as a key part of the university’s vision for the 21st century, which is to cultivate vibrancy on campus and foster a sense of community. The two-story 103,000 sq. 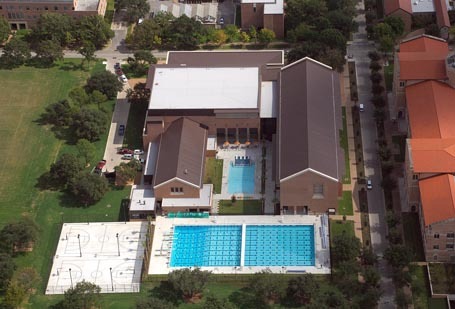 ft. David & Barbara Gibbs Recreation Center includes two indoor basketball courts; two outdoor basketball courts; four racquetball courts; two squash courts; cardio and weight areas; a dance studio; a 50-meter outdoor competition pool; and a 2,500 sq. 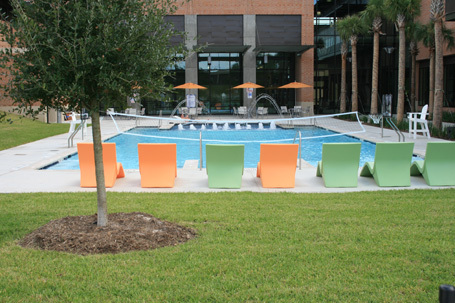 ft. outdoor recreation pool. 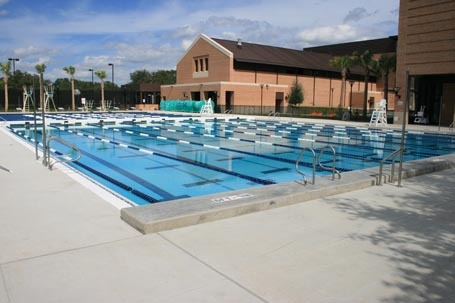 The 50-meter pool provides 1- and 3-meter springboards and a moveable bulkhead for simultaneous aquatic activities. 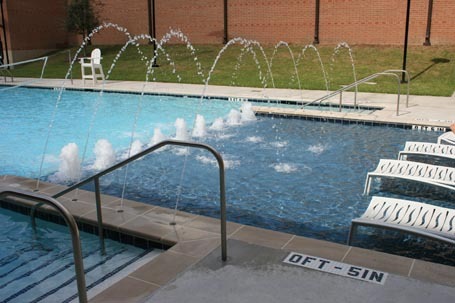 The outdoor leisure pool is equipped with multiple step entry points, a wet deck, bench seating as well as accommodations for water volleyball and water basketball.